Your website is an integral part of your marketing and online reputation efforts. First impressions count. In this article, we’ll share 10 useful design tips for building a website that converts online visitors into patients. 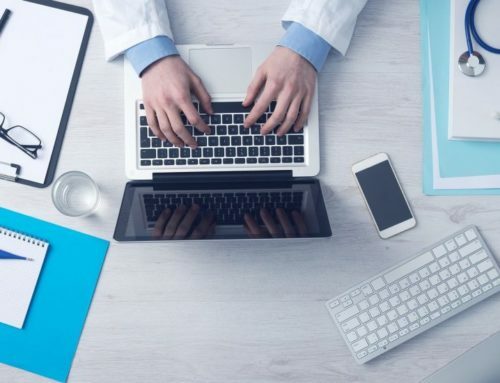 These actionable tips will enhance your online visibility, and help your medical practice’s website reach its full potential. Mobile use and consumption is at an all-time high. In fact, 2017 was the first year that mobile phone web traffic exceeded desktop traffic. If your medical practice’s website isn’t mobile-friendly, then your search engine rankings will take a hit, along with your patients’ online experience. 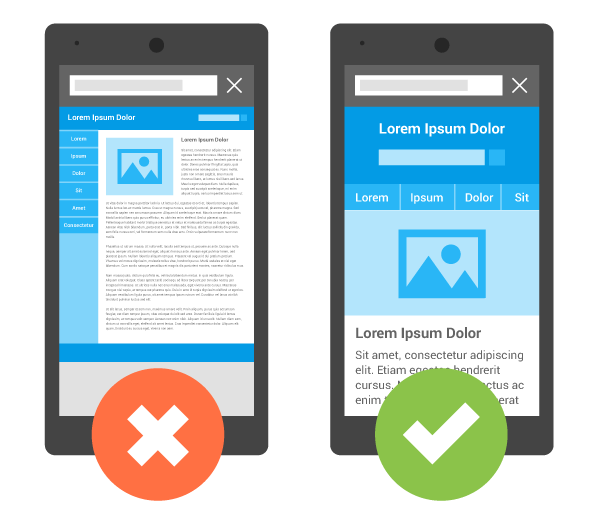 In order to determine if your website is mobile-friendly and responsive, visit Google’s mobile-friendly test. This free, simple test will simply indicate whether or not your page is mobile-friendly. Google Analytics is the leading web analytics tool and it’s free! Google Analytics is an invaluable marketing tool that tracks and reports website traffic. It displays incredibly useful information such as visitor count, bounce rate, average duration, and pages/session. 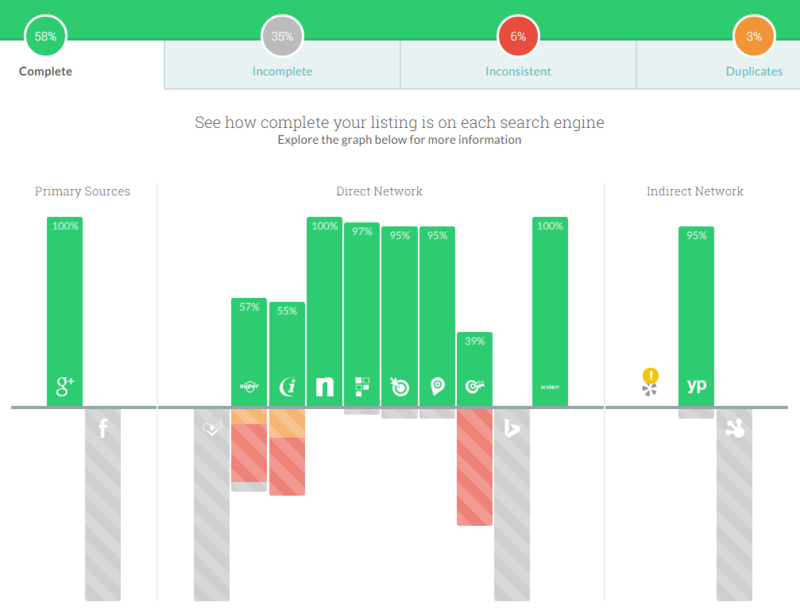 It also reveals the location of your visitors, which pages are most popular, and how users navigate from page to page. Are your marketing efforts driving more website traffic and helping you acquire new patients? Google Analytics can help answer this question and many more. This tool is essential in measuring the effectiveness of your online marketing campaigns and website outreach. Consumers like to do their due diligence before making purchases, big or small. And they especially like to do their due diligence before choosing a doctor. 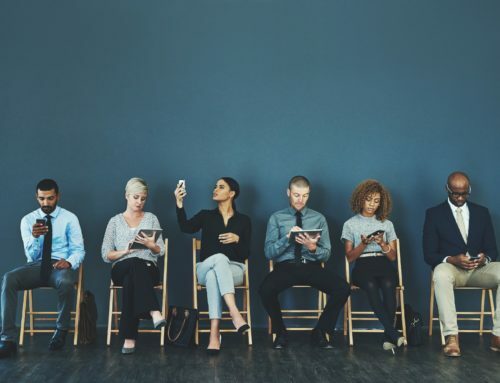 After all, social proof is a powerful indicator of trust. Therefore, you should embed Google reviews on your website. 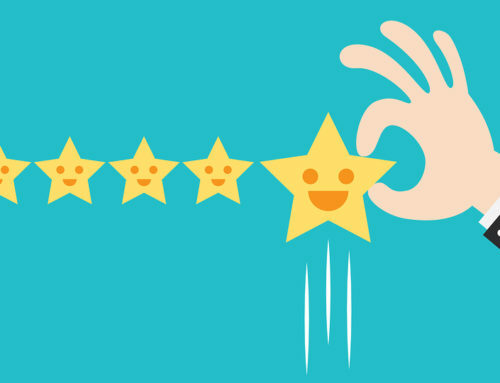 You should be proud of your 5-star reviews; proudly display Google reviews on your website for others to see. hen adding testimonials to your page, include the first name of the patient and a link back to the source, if applicable. When providing testimonials, avoid using stock photos of random, good-looking models. In this instance, no photo is better than a phony photo. 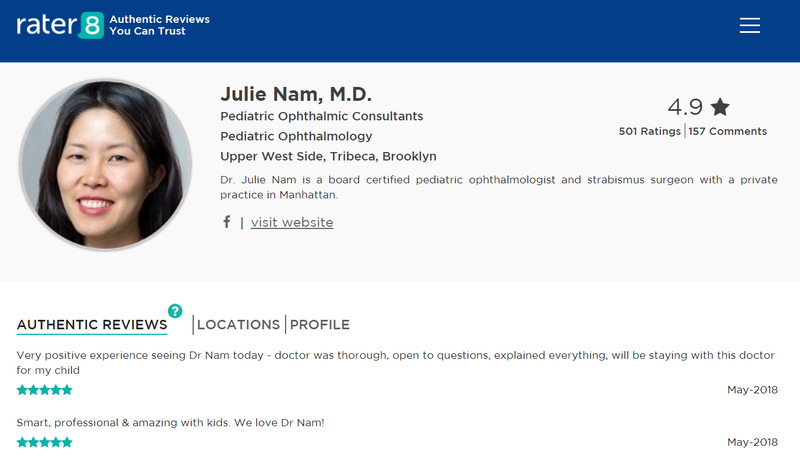 There are a number of doctor review sites today, including Google My Business, Yelp, Healthgrades, Vitals, Facebook and more. Unlike the other websites, rater8 reviews are 100% authentic. Why’s that? Anyone can write a review on Google or Yelp. But at the end of the day, there’s no way to ensure that the reviewer is a real patient. This is a serious problem for many medical practices today. 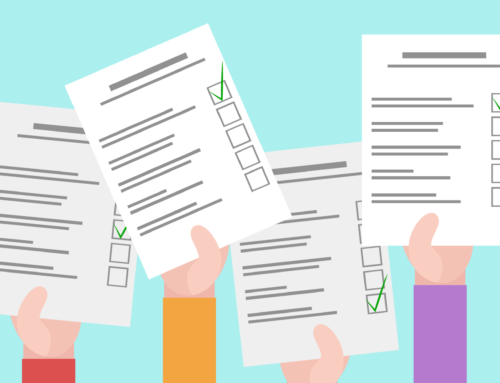 Two or three reviews can inflict significant damage to your online reputation. Often times, these reviews are written by competitors or disgruntled former employees, looking to sabotage others. Other times, they are reviews written on behalf of someone else or based on others’ experiences. rater8 reviews, however, are written 100% by real patients. Want to add rater8 reviews to your website? Visit How It Works to learn more. Also remember to claim your Google My Business listing and respond to negative online reviews. Humans are visual beings and we are drawn to high quality media. For this reason, make sure you are incredibly selective about which photos you use. Avoid cheesy stock photos at all cost. And don’t be afraid to highlight real people from your medical practice. Use original photos wherever possible, particularly pre-op and post-op photos if your medical practice’s specialty allows it. A video on your landing page explaining what you do and who you are works wonders and helps establish legitimacy in the eyes of patients. 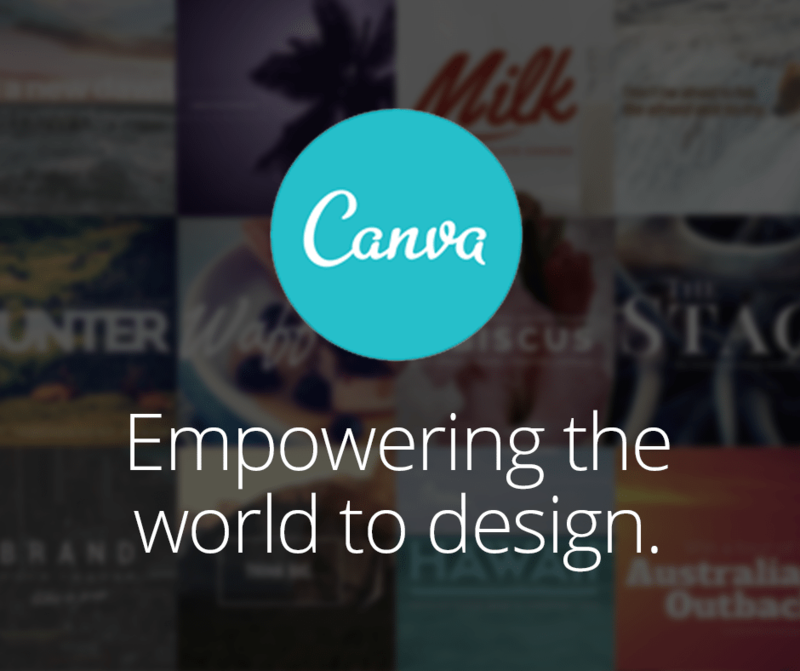 One great marketing resource is Canva. This free, online tool allows you to make state-of-the-art digital marketing materials such as logos, advertisements, social media posts, and infographics. Each doctor should have his/her own dedicated page, particularly for search engine optimization. In healthcare, it’s incredibly important to instill a sense of trust. Each doctor’s page should highlight his/her medical background, experience, education, residency, accolades and other pertinent credentials. Also, it is crucial to use a professional headshot! Basic contact information (name, address, phone, and email of your practice). Many doctors see patients at different offices. Each office location should be represented here. This is incredibly important. What is the appropriate course of action if a patient requires medical assistance in off-hours? Make sure this information is displayed prominently on the home page so patients don’t have to go digging. When patients visit your website, they want to know what types of health insurance you accept. For many, this can be a deciding factor when choosing a doctor. Make this information accessible to all on your website. You can also note whether there are special financial arrangements available, and whether you take cash. Do not display important information in images. Always make sure to display important information in text. Because search engines can’t crawl or read images. If search engines can’t crawl images, the information won’t be processed by search engines, like Google or Bing. 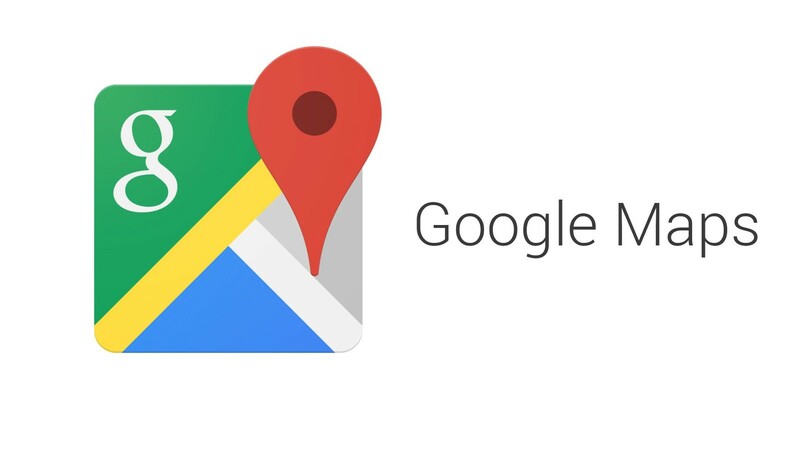 It’s also useful to embed a Google Map so users can easily find your practice’s location and grab directions. NAP is an acronym for Name, Address, & Phone, and it’s important to help potential patients find your practice, go to your website, and book appointments..
Make sure your NAP are displayed consistently and prominently throughout the website, including the footer, header, and contact page. It’s crucial to display your NAP consistently. Doing otherwise will have a negative effect on your search engine rankings. Pick a format and name and stick to it! 101 20th St. N. is different than 101 20th Street North. Humans are obviously able to understand that the two are identical, but search engines will treat these as separate addresses. Multiple addresses will confuse Google and if Google is confused, it’s less likely to feature the information in search results. Blogs and articles have the potential to drive high volumes of traffic to your practice’s website. Produce high-quality content that is optimized for SEO. This is where you can prove your knowledge and expertise in the field. A blog builds confidence, relationships and sales. A blog is where you establish legitimacy and demonstrate your authoritative knowledge. Backlinko conducted research of over 1 million websites. They found that the average Google first page result contains 1,890 words, proving there was a strong correlation between word count and Google ranking/position. This doesn’t mean that lengthy posts will guarantee a first page ranking on Google. After all, Google values quality over length. Create engaging content centered around your target keywords and niche. And encourage readers to share this content across various social media and marketing channels. What does SEO-optimized content look like? Become the subject matter expert for the world to see. Have your physicians or medical practice been recognized as leaders in the field? Perhaps they’ve been featured in local press, magazines, or conducted interviews? Maybe they’ve been featured in the Best Doctors magazine or hold a prominent position in their medical specialty field. Display these accolades, press, and badges proudly on the website. Two perfect places to display this information is on the home page, above the fold, and on the individual physician/practitioner pages. Place these badges where visitors can see them. Your website should sell you. Website and data security are becoming increasingly important. For this reason, make sure your website is using an SSL certificate. This is particularly important if your website handles any payments or online transactions. Once SSL is enabled on your site, your address will display with an https (instead of http). The “s” stands for secure. Hyper Text Transfer Protocol Secure (HTTPS) is simply the secure version of HTTP, the protocol over which data is sent between your browser and the website that you are connected to. It means all communications between your browser and the website are encrypted. Studies have shown search engines give secure websites an added boost in SEO rankings. 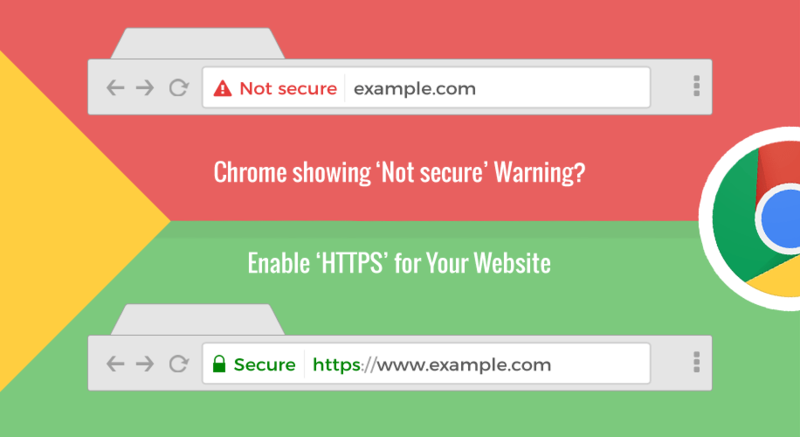 In fact, Google announced that in July 2018, they will mark all sites that have not migrated to HTTPS as “not secure.” You do not want visitors to see the following when they visit your medical practice’s website.